When it comes to writing instruction, allowing students the freedom to pick their topic, write about what they know or write from their own experiences goes a long way. When students have these opportunities they are eager to write and become invested in their writing pieces. As educators, we know that this is not always possible. Sometimes students are given choices and sometimes students have to write to a prompt. Writing prompts are often viewed as boring writing assignments or as a necessary or mandatory writing assessment. That does not always have to be the case! You can use writing prompts in your classroom as creative and engaging activities to help teach and practice important writing strategies. The more exposure students have to writing prompts, the less intimidating they become. 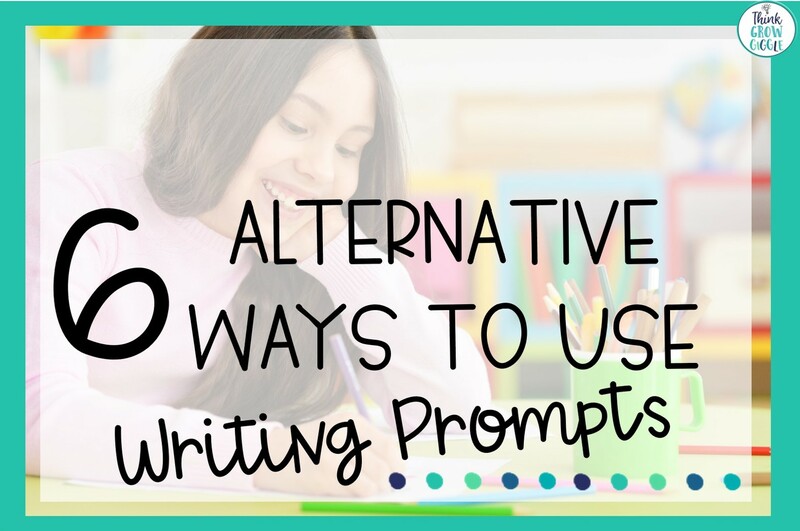 Here are some different ways that I use writing prompts in my classroom to get kids excited about writing. I love round robin writing! It is a simple and engaging activity my students always ask to complete. This is an independent class assignment that is perfect to complete during morning work or any downtime you have. To complete a class round robin writing, take a writing prompt and attach a few pages of lined paper and place on a clipboard. (I use a writing prompt that is related to our current writing unit of study, but you can use any type of prompt.) Each student has to write two-three sentences to help create the story. The first student reads the prompt, begins the story with a few sentences and then passes the clipboard to the next student. That student then reads the prompt, the sentences already written and adds their own two-three sentences. Students have to work together to write a cohesive piece with a clear beginning, middle and end. You can add your own rules to have students apply skills or writing techniques that you have recently taught them. The last student to write their sentences reads the story aloud. It takes a few times of completing this activity for students to get the hang of it, so when you first start trying this activity start off with your strongest writers writing first. 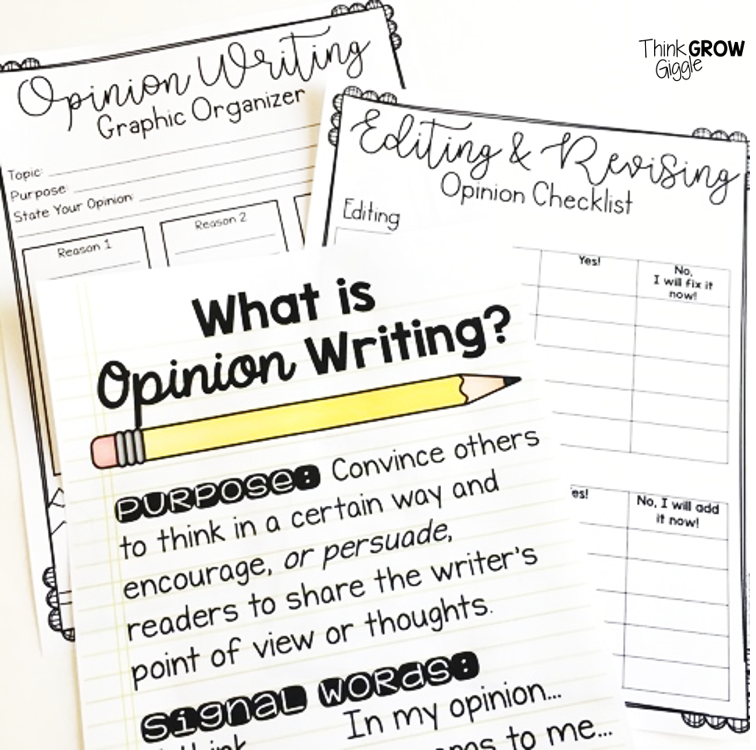 This activity allows for great classroom discussions about editing and revising after each student has contributed. Why I love it: This activity truly fosters team work and collaboration. 2- WWYW? What Would You Write? 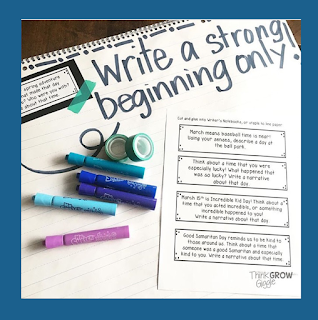 Analyzing and discussing ideas for given prompts are a fun way to start or end writing periods or to fill in small pockets of time throughout the day. For this activity, you can use writing prompts or picture prompts. 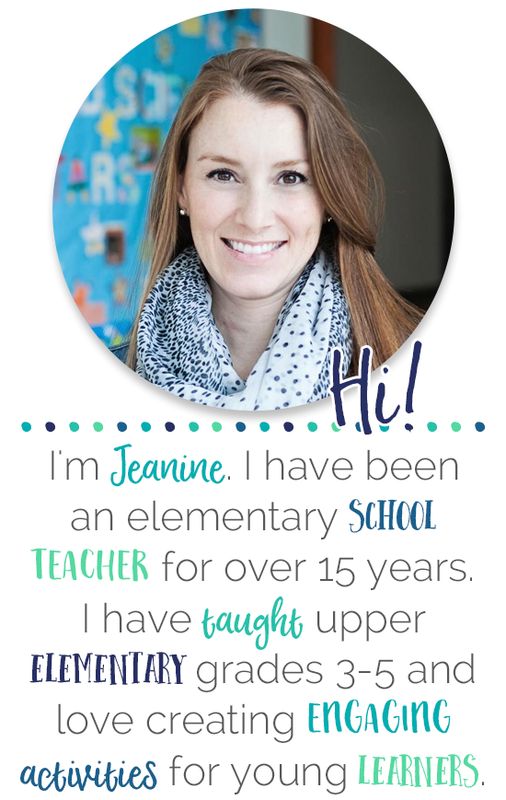 Display them on the smart board or chart paper and simply ask, What would you write? Discussions develop from that one simple question. Be sure to model how you want students to respond the first few times you complete this. Discuss together who or what the prompt will be about, the main focus of the writing and what would be included in the beginning, middle and end of the writing. This is a great activity to do in partnerships or small groups, too! Why I love it: This activity is a great way to model and practice how to brainstorm ideas before writing. This activity is a great way to practice and revisit writing strategies and techniques that you have taught throughout the year. After presenting a prompt to the students have them brainstorm and share different author’s craft sentences that they might include in that writing piece. For example, if the prompt is about an outdoor adventure students would write a sentence with a smile that describes the weather. This is a fun activity to have students complete with partners, as students are always eager to share their writing. The more you can share the better. Young writers always benefit from models and examples of good writing! 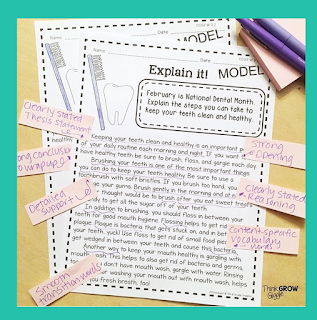 Grab a FREE graphic organizer for this activity at the bottom of this post! 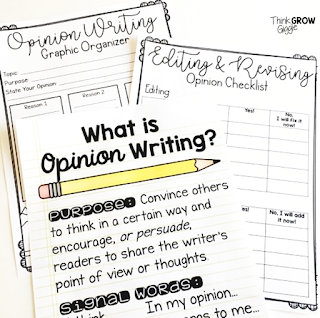 Why I love it: This activity is a great way to review important writing techniques from different writing units without having to write a whole writing piece. Carousel activities are always a class favorite! It does take some time to set up the activity, but it is well worth it. This is an activity that I have my students complete in groups of two or three. I hang up one piece of chart paper for each grouping. Each piece of chart paper has a prompt attached with one specific direction. 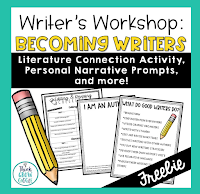 Directions might include, write a story beginning, write a conclusion, write a descriptive sentence, all related to the prompt that is attached to the chart paper. You can have each chart paper have the same directions with different prompts or different directions with the same prompt. Each group of students is given a different color marker to complete the activity on the chart paper. After a few minutes at the chart paper, have students rotate with their marker and begin the next chart paper activity. The catch is that students must reread all the writing already on the chart paper and cannot use any ideas already used. Sharing these completed chart paper assignments at the end of the class period is so important. It allows students to read and discuss all the different ways to respond to the same set of prompts and directions. 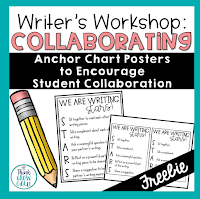 You can leave some of these chart paper writing assignments hanging up in your classroom as writing anchor charts, too! Read more detailed step by step directions to implementing a writing carousel HERE. Why I love it: Students are up and out of their seats and working together to achieve a writing goal. Even if you do not use centers on a regular basis, it sure is fun to throw a center or two into your instructional period every once in a while! Writing centers are a great way to hold students accountable for writing and practicing important skills independently. Centers also give you the freedom to work with small groups to practice and re-teach writing concepts as needed. 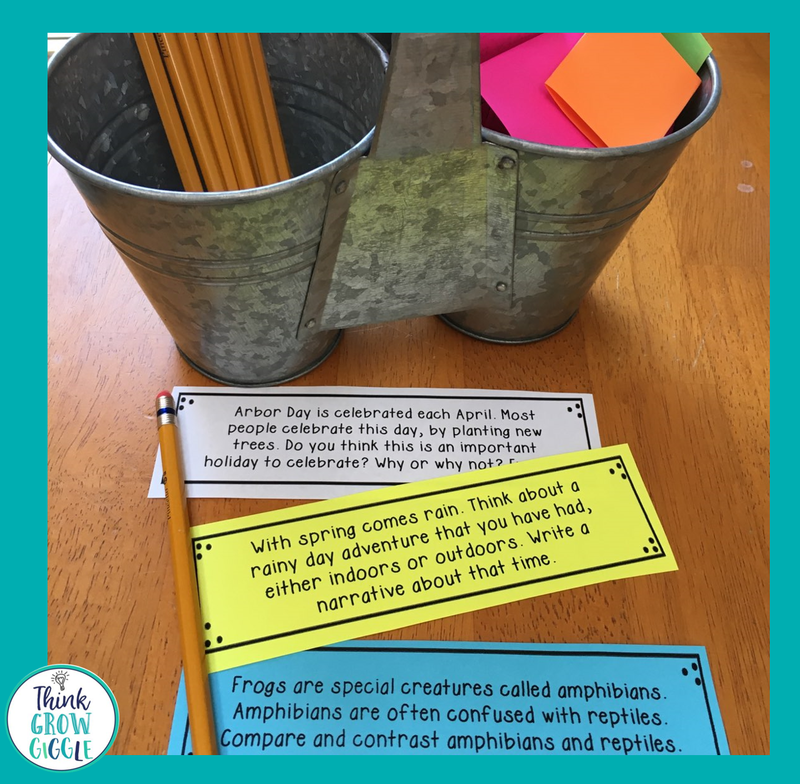 It is easy to use writing prompts at a writing station. Simply provide appropriate prompts and allow students to select the prompt they would like to write to during center time. I like to use seasonal topics to engage my students. I simply print prompts, fold them up and place them in a bucket. I allow students to read through the prompts and select the one topic that they think they would be the most successful at completing. For a challenge, have students randomly select a topic from the bucket. Then they must write to the one prompt that they selected. Any prompts you have on hand work well for this activity. Find the seasonal prompts that I use with my students HERE and grab a free sample HERE. Why I love it: Students are given choices for which prompt topic they want to complete. There is nothing more important for young writers to see than completed writing prompts. By reading and annotating completed writing pieces, students can see a whole piece of writing from beginning to end in one sitting. It takes a long time for students to complete their own writing piece fully, so seeing a completed piece is a great model and example to show them what is expected. At the beginning of the year, I model how to annotate a written piece, looking for the beginning, middle, end, introduction, closure, as well as different techniques and strategies depending on the writing genre. As the year progresses, students work together to annotate completed pieces. We play different rounds of “I Can Spy” with prewritten prompts. Students work together to search for writing characteristics found in the given writing piece. 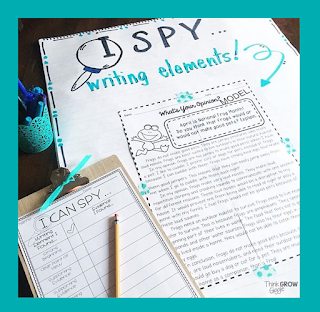 Grab a FREE “I Can Spy” organizer to help students find different writing elements found in opinion writing pieces at the bottom of this post. You can make up any directions you want while students annotate completed prompts. You can have them find the introduction and then create a new one, you can have them hunt for similes or metaphors, or you can have them replace words that are used too often. You can create a prewritten prompt by simply completing a writing prompt yourself and sharing it with your students. As students feel more comfortable with their writing, ask for student volunteers to share their own completed writing pieces that they wouldn't mind you using for a class annotation activity. You can copy their work with their permission or rewrite their pieces on chart paper. HERE are the already completed graphic organizers and modeled writing prompts to annotate that I use with my students. Why I love it: Students are exposed to different writing models and are given the opportunity to develop skills to help them collaborate with writing partners. The next time you hear the words writing prompts, don’t cringe! 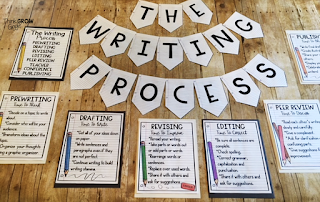 Take those writing prompts and use them in creative and engaging ways to reinforce and practice strategies that you are teaching during your writing block. 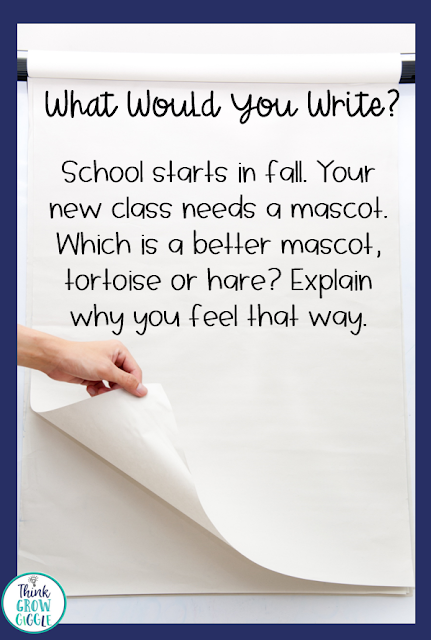 It is easy to make writing prompts work for you and support what you are doing in the classroom. How do you use writing prompts in your classroom?